Al-Jāḥiẓ was a theologian who wrote in a literary manner. By this I mean tha the used the full range of the Arabic language, including technical, idiomatic, ambiguous, unambiguous, connotative and direct expressions. A flexible use of language often invades passages of tight dialectical argumentation in his works, bringing together what might seem to be contrary ways of thinking. 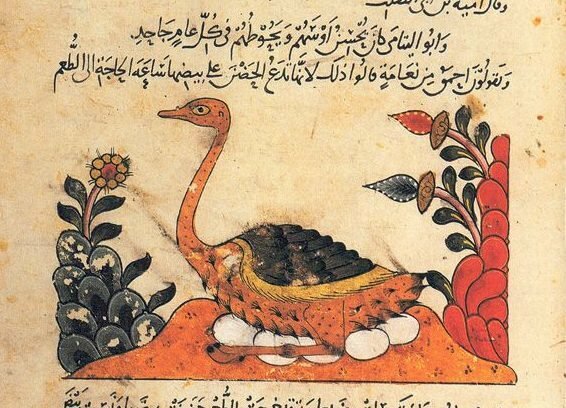 This essay is one foray into the difficult question of how al-Jāḥiẓ understood the relationship between idiom and logic, and between the semantic drift of literary language and the practice of dialectic with its defined terms. It addresses a particular case where al-Jāḥiẓ seems to use idiom and onomatopoeia to argue a point that he elsewhere contradicts in straightforward language, namely the idea that animals “speak.” That the context is a classification, typically a site of technical and defined usages, only makes the passage more confusing.